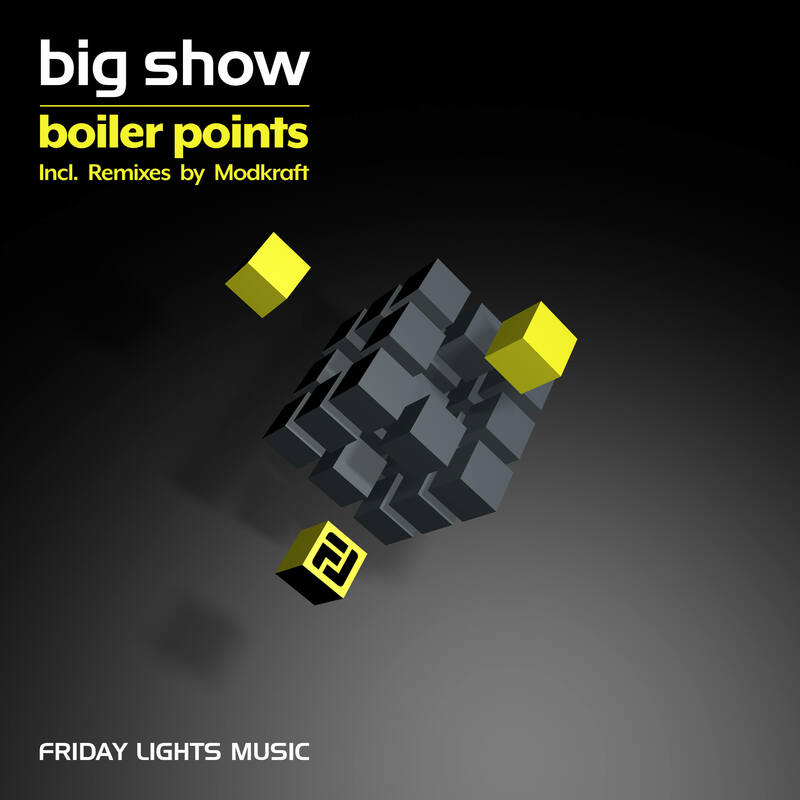 Friday Lights Music is proud to accomplish this 2016 year with a release from the label boss Big Show, showing his tricks in an excellent EP Boiler Points. It was a great year with a lot of new wave music in FLM and this EP is putting a stamp on it and preparing us for the wild 2017. 2 bloomy originals and a remix from a fresh talent that is based now in the lands of kangaroo Modkraft cannot be left unnoticed. Big Show known for his ability to take any element in the track to the extreme unknown. His sound is usually deep, minimalistic and atmospheric until the drop comes where anything can happen. We can hear it clearly in Boiler Points. A track that takes the floor to a trip of flying boiling points (literately) and later in the drop lands a heavy hummer with big saw bass. If you want your floor to scream ahhhhh-ohhhhhhhh in the drop and act like in zoo – that’s your track. Modkraft presents high-level skills on his remix. Tight bass and production have no space for any mistakes. We love this remix for its clean sound, epic drive and ability to be played almost by any DJ. Particles is a melodic, fast and beautiful piece of music with a huge electric drop. Type of those tracks that can make you dance and feel – and this is exactly what we are all about!